Having stormed shows such as Have I Got News for You (BBC1), Live At The Apollo (BBC1), Michael McIntyre’s Comedy Road Show (BBC1) and now as the new host of Channel 4’s Stand Up for the Week and team captain on 8 out of 10 Cats, the brilliantly funny Jon Richardson is the UK’s rising comedy star to watch out for! Discussing the everyday items that have a profound effect on his outlook, Funny Magnet is Jon’s new hilarious sell-out show that will be touring the UK in 2012. 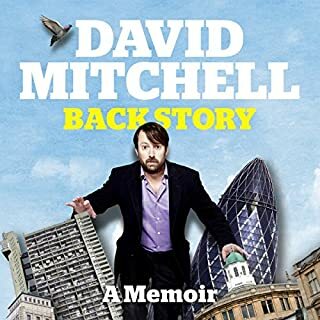 Over the course of the series, David eats his lunchtime sandwiches with children in a primary school and later goes to a street market to see manners - good and bad - in action. He explores where our manners come from with Professor Steven Pinker from Harvard University and the author Henry Hitchings. What do we mean by 'civility' and 'good manners' in public places? Why are people still pinching vicars' bottoms, and what can the state do to improve standards of public behaviour? And, David asks, how is the digital age changing our sense of public space? Comedy, Tragedy, Therapy. Simon Amstell did his first stand-up gig at the age of 13. His parents had just divorced, and puberty was confusing. Trying to be funny solved everything. Read by Simon Amstell, and interspersed with footage from his stand-up tours, HELP is the hilarious and heartbreaking account of Simon's ongoing compulsion to reveal his entire self onstage. To tell the truth so it can't hurt him anymore. Loneliness, anxiety, depression - this book has it all. And more. You’ll already know Greg Davies as Mr Gilbert, the psychotic Head of Sixth Form in 'The In-betweeners' (Channel 4) and 'The In-betweeners Movie', and as the most out-of-shape member of 'We Are Klang' (BBC Three).‘Firing Cheeseballs at a Dog’ is Greg’s hotly anticipated debut stand-up show. 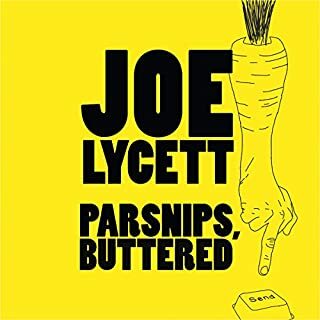 A critically lauded sell-out smash hit at the Edinburgh festival where it picked up a prestigious nomination for the Foster’s Comedy Award (formerly the Perrier) followed by a 100+ date, twice extended national tour. Sarah Millican is Just the Funniest! A control freak looks for love (women who leave wet teaspoons in sugar bowls need not apply). ‘I haven’t woken up with a cup of tea by the bed for seven years. It seems such a small thing but it’s one of a thousand things I miss about having someone around to take care of me. I have spent my entire adult life getting things the way I want them and all I want now is someone to give it all up for.’ Jon Richardson. Is your filing faultless? Your CDs, apostrophes, cutlery all in the right places? Can you eat a biscuit in the correct way? 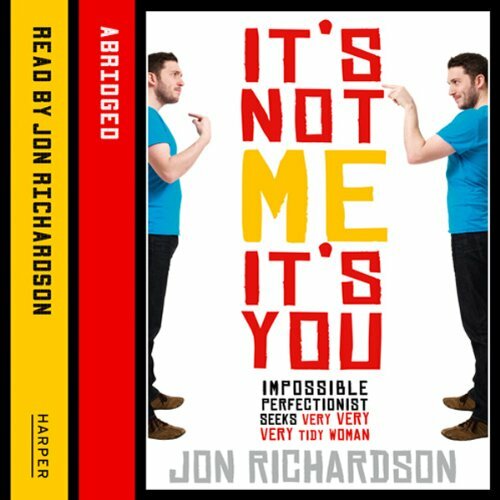 Then Jon Richardson (single for seven years and counting) could be your ideal man…Living alone in a one bedroom flat in Swindon, 27 year old Jon has had far too much time on his hands to think. In fact to obsess. About almost everything. Jon’s obsessive compulsive personality disorder has seen him arrange the coins in his pockets in ascending size and colour code his bookshelves. It takes him less than 90 seconds to locate a receipt for a pair of shoes he bought in 1997. Over to the filing cabinet and R for receipts, S for shoes. But Jon doesn’t want to be like this, in fact he would quite like to share his life with someone. But who could that someone be? Someone like himself, a quarrelsome perfectionist only with breasts and less body hair? Absolutely not. But who exactly is Jon looking for and where will he find her? Faced with a loveless future filled with his own peculiar quirks and perfectionism, Jon sets about his search for The One. The question is, will he mind her keeping the knives to the left of the forks in the cutlery drawer or organising the CDs by genre and not alphabetically? Listening to this book was a surreal experience. You're laughing and almost crying on every page. Jon Richardson's humour takes you totally by surprise, he's so honest and different to other comedians. Started promising, descending into a dull repetitive drone, and then, in the last few chapters, when I was barely paying enough attention to notice, it became brilliant. Read for the last 3 chapters. Like me you might be sitting there wondering whether or not to buy this book. The author is funny on TV so i thought I'd buy it and I'm glad I did. Its perhaps the best audio book that I've listened to. 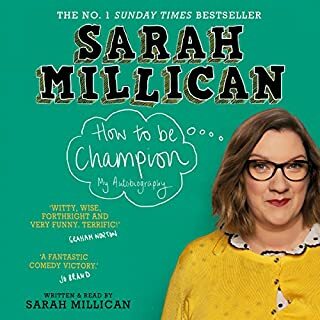 Its not an autobiography but its a charming, laugh out loud and wonderful story about someone dealing with being an perfectionist. It gives great insight into the mind of someone with OCD - some positive points, some negative but always with humility. I can't recommend this book enough. very entertaining, I'm a big JR fan. This book was a lot shorter than I expected. Great book ;I really enjoyed it. Jon narrating it really added to the humour and enjoyment of the book. It finished too quickly though! I wish it was a longer story! 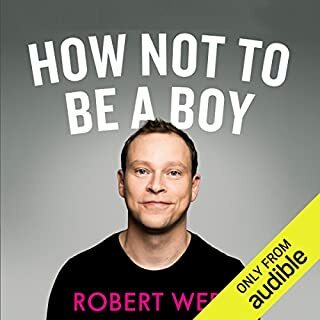 Worth buying if you want a book of sarcasm and awkwardness of life (basically being single), and I think I've realised why I've always been single for my entire life! 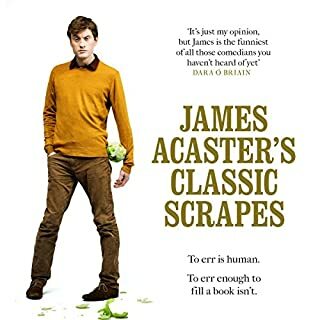 Hilarious at times but I like it mostly because we can all relate to so many of the quirks and insecurities we all deal with if maybe not at the same level as John. Well read too. reasonably funny but I enjoyed mainly it because it was witty and heartfelt. this man is incredibly wise and self aware. wasint what i expected, strugel to finish it, was going to exchange it but ended up jus finishing it, unless your a super fan of the author i would stay clear. Not many laughs in this book. Just a lot of whinging. Sorry. I like John Richardson but this book just didn’t do it for me. 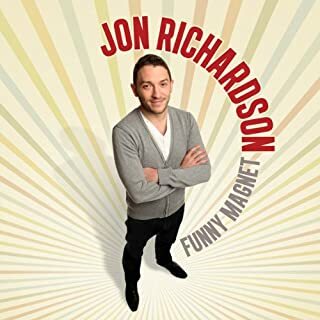 Jon Richardson is a brilliant comedian and if you know his work, you will know that he references his OCD a lot, as do other comics who know him well, he once house shared with Russell Howard. Here, Jon tells stories from his life very openly, injecting his natural talent for humour along the way, but also sharing a lot of the mental challenges he faces as someone who experiences OCD. I love listening to this book and have done so on many occasions, highly recommended. While enjoyable for the most part, I found this book somewhat depressing. Certainly worth a read if you too suffer from OCD - it'll give you some perspective - and worth a read if you're around someone with OCD - as you'll probably find they're not so bad after all.